I have some new note card designs for the holidays this year. 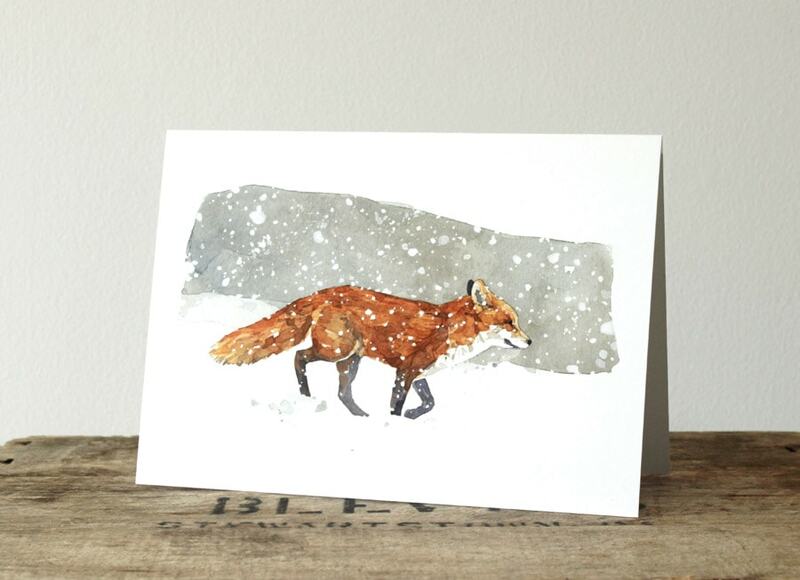 The first is this watercolor of a Red Fox in snow. I painted this last Winter after watching this fox run around our yard as a blizzard was coming down. We would spot this one and it's mate every once in a while and wake up to tracks crisscrossing our yard in the mornings. Printed on sturdy, high quality cardstock with a matte finish. A blank inside lets this work as a Christmas card or a note card for other occasions. Single cards and boxed sets now available in the shop!